This entry was posted on May 21, 2010 at 11:57 am	and is filed under Changing the World. Tagged: Adove Reader, ars technica, Landscape, Open Office, PDF, Portrait, proprietary, United States Computer Emergency Readiness Team. You can follow any responses to this entry through the RSS 2.0 feed. You can leave a response, or trackback from your own site. Devil’s Advocate: Before there were PDFs there was PostScript, a perfectly fine typographic language that preserved page layout. PDF files were simpler and required less computing resources than PostScript files, but with today’s computing power that should no longer be a concern. Everything you claim PDFs were designed to do was already being done by PostScript. The original postscript (.ps) files you speak of were strickly for output only, and could not be reliably viewed for examination. You could not realistically expect 2 computers to display the exact same result. The only way these files were proofed was to actually print them with the intended process. This was because they were pure postscript – a language only fully spoken by printers. You also couldn’t easily marry .ps files into a book layout. PDFs were introduced to provide the print industry with some much-needed reverse engineering and migration capabilities, as well as “front end” functionality for document sharers. As for the “security” aspect, it wasn’t exactly unique to Acrobat. The same feature was introduced to a number of other softwares, enabling the same “galling” practice of arbitrarily locking down content in the most unwarranted cases. And, that was my original point. It doesn’t matter what format you receive content as. ALL applications can facilitate the same kind of product lockdown. The only difference you’ll find with a PDF is that its intended appearance and print result is more likely to be consistent from its origin to whatever destinations it is displayed and/or printed. I’ve been in the print industry for about 35 years, and was also one of the first desktop publishers. I’ve been doing this work since before the existence of applications or operating systems like Windows. So, I don’t make these points lightly. I’ve banged my head against the desk many a time over the years because content I was being paid to manipulate, provided to me in ALL FORMATS (PDF, Word, Pagemaker, Quark, whatever) was being locked down the same way Laurel was complaining about, by all sorts of clueless bozos. In your Ubuntu OS, Evince is the program you’re looking for if you want to highlight things. Sorry, Laurel, I’m not quite sure I get this one from you. First of all, the Personal Document Format wasn’t originally designed to “lock up” the contents, or provide any sort of added “security” features. “Tamper-proofing” wasn’t even remotely the objective. The format was introduced for the printing world, to provide a means to unite various documents created in various applications, in order to compile the content into books, booklets, etc. A PDF was simply a POSTSCRIPT product, created by print drivers, that was intended to preserve the intended appearance and colours of any documents when viewed, printed, or RIPped by anyone else, regardless of whether the recipient(s) had the software or fonts that would normally have been necessary. The resulting postscript files were (originally) always generated in proper “CMYK” colours, which were compatible for offset printing, and greater compatibility between early colour printers. Naturally, a company wanting to submit stuff to 3rd parties for printing, etc., wanted to maintain the integrity of company info, so the option appeared to place a password security on the ability to edit or print or both. The same was done for Office documents, and others. But, this feature, regardless of what application we’re talking about, was never, by any means, ever taken by anyone having any basic experience with computer software, as the ultimate piece of security! PDF wasn’t invented to allow its contents to be easily manipulated, as the goal was to MAINTAIN the intended PRINT product that was created. But, due to growing requirements from the same industry it was invented for (printing! ), abilities to handle its contents, and even correct or change them, were summarily built into many other applications (i.e. Illustrator, CorelDraw, and Acrobat, of course). Since you’re spooling POSTSCRIPT information when you create a PDF,OF COURSE needed to be an application that everyone could use to view them. THAT was the idea. This software may have been “proprietary”, but it was provided for free, and was widely available online. In the beginning, Adobe Reader was a fairly small package, quickly downloaded and easily installed. I honestly can’t see the problem you think this created. It doesn’t matter what format data is saved in anymore, or whether a file has any security properties, such as a password, it can’t be secured as a digital product, period! Unless the bank statements you’re talking about are currently arriving to you as a hardcopy, it wouldn’t matter what form of electronic document they intend to start sending you – they’re ALL SUBJECT. (Hell, hardcopies were never secure in any sense of the word, either.) You also have to worry about any data you retrieve from that bank online yourself, even when just viewing your account. These dangers are known, and there’s lots of info available online on what to expect and how to deal with it safely. The truth is, the only information transfer that can be seen as truly safe would have to involved an action between two live people in the same room. And, there are “vulnerabilities” in ALL applications. Adobe Reader doesn’t have any more to worry about than MS Word. Any program that maintains an internet connection porthole and stands poised to execute code that comes from it, without the need for your approval, can be said to be “vulnerable”. These dangers, too, are known and there are things you can do to minimize or eliminate them. Such info is “Googleable”. Lastly, I don’t understand the “portrait/landscape dilemma” you’re expressing. Acrobat doesn’t create the documents! A PDF is merely the reflection of a document created in ANY OTHER APPLICATION. You always had to view ALL “portrait” documents with the same “landscape monitor”, regardless of the program used. I mean you no disrespect, Laurel, but your expectations about the PDF format seem to far exceed the actual PDF “agenda”. What you say makes perfect sense, that PDFs are meant for printing. So if I was a printer it makes sense to give me the work in a locked down format. The problem is I’m not a printer. The main reason I hate PDFs because you can’t read them easily on a computer. Or cut and past the bits you need. The problem is that many websites… in my experience it is government websites, particularly school boards and municipalities… who are more and more locking information that I just want to read on the computer into PDF files. Maybe I might want to cut the relative information out and put it into another digital file, like say a calendar app. But what I do NOT want to do is print it. It is truly irritating to go to a website that is all HTML until you get to the bit that has the info you need and it is only available in a PDF. School board: almost everything is in pdfs. School: If I want to take 30 seconds to pop into the school website to check the schedule to see exactly when 2nd period ends, instead of finding it in HTML I have to first download a PDF. This is why I’m annoyed with PDFs. The reason that they do this more and more is because they think it makes it “secure”. That’s the perception. That’s why I assumed that PDFs were intended to be “secure”. But most people really think the PDF will “maintain the integrity of the information”. That phrase actually came from the bank guy who wants to give me PDF statements instead of mailing me paper statements, selling it as environmental because they don’t have to print it out. But it isn’t environmentally good for me… because it is a format that begs to be printed, and I have to use my ink to print it out. (Bubble jet ink is after all the most expensive liquid on the planet. Of course they want ME to print it out.) Of course switching will save them masses of money. Are they afraid I might change the numbers around on the statement… what, to make it look like I have more money? And if I bring a forged statement in to the bank will they give me more money? Not likely. The statement is for ME. It is something I the customer use to keep track of my records. The school info is for me, why can’t the info be in an accessible format? The municipality info that they would have had to print and mail in the old days is for me. The transit schedule is for me. Even if I print it out, who will it hurt if I were to mess with the layout? But they are not putting it into a universal format like html for my convenience. The websites are made of html but the information I want requires me to put a PDF reader on my computer. It isn’t that they aren’t capable of html — the rest of the website is html after all. Why should I have to put any software on my computer that I don’t want? Especially in these days of big brother on the one hand and malware on the other, well, I shouldn’t have to compromise my security. I believe there are free tools out there that can edit a PDF. Is that what you are looking for, Laurel? No, I would like to see websites– especially government websites– stop using PDF files inappropriately. So, Laurel, are you saying you’d rather have content offered in Word, or any one of a number of formats that are not a PDF?? This simply doesn’t make any sense. If I interpret you properly, you’re frustrated mostly because of a need to cut ‘n’ paste from the source. Obviously, you wouldn’t be interested in the formatting or appearance of this content, since you’re recycling it. Cut ‘n’ paste is the one task that is not straightforward directly from a PDF – if you haven’t got Acrobat, or any number of applications that were made to deal with PDF text! The same is true for Word, for example. If you don’t have Office or WordPerfect, you’d have a pretty hard time dealing with a Word doc directly as well. And, as I’ve already outlined about “lockdown”, if I place security on content in a Word document, you won’t have an easy time copying the text from that either. Same goes for stuff produced from a “content management” system – where the various bits of content are “recycled” by pulling them from a server and married by either a client-based authoring program or a server-based authoring program meant to serve the product to you via the webpage. Much of that is locked down, sometimes for a reason, often for no good reason. The only way to deal with such snags, if it’s important to you to be able to do so, is to arm yourself with both the applications that will solve as many as possible, and the knowledge associated with their use. It’s important to me, so I have everything I need from Office to CorelDraw to Adobe Creative Suite (and therefore, the full Acrobat), as well as literally hundreds of small “specialty” applications (most of them open source and free!) that each exist mainly to accomplish “that one task” that always gets in the way of something bigger. Those small freebies certainly illustrate one of the great things about the Internet – someone creates a solution for something and is able to share it with the world, by making it instantly accessible. Yes, you have all those apps on your computer because you choose to have them there. And I have the apps I want on my computer. Remember not everyone can afford to purchase every program going. And even if you can, there is no point getting programs you won’t use. The thing is, when I go online to find information I find it in HTML not in .odt or .doc or whatever the Apple proprietary document format is. I have NEVER gone to a website for information and been offered it in a WordPerfect. The only non HTML documents I have come across are PDFs. I use Photoshop all the time, and I know lots of other people do too, but I’ve never found .psds online. WordPress won’t accept them for one thing. I use Photoshop a lot, I scan old family photos with it and after I’m done restoring them I print my photos from it. Actually I print all my digital photos from Photoshop too. But I wouldn’t put any .psds on my web page because then only people with Photoshop would be able to see them. Because the point of the internet (according to Lawrence Lessig) is sharing. I want people to see what I have online so I try to make it as accessible as possible. I faithfully fill in “alt” information to try to ensure people with disabilities can read my posts or web pages for instance. As you pointed out earlier PDF files are for printing. Websites are made of HTML. There are reasons for this mass adoption. 1) PDF can be generated from any other software. 2) PDF is a reliable format that can “cross over” between Mac and PC platforms. 3) PDF readers are free. 4) PDFs will display and print as designed, without the need of the software that created it, or the fonts (if generated correctly), moreso than any other format. 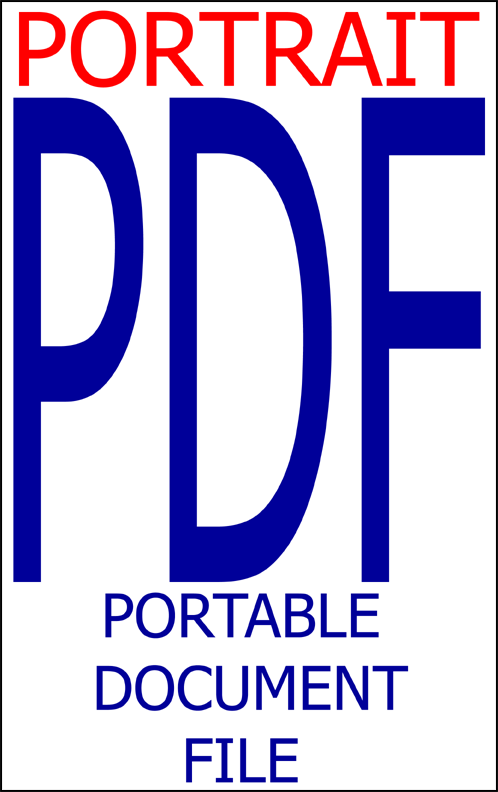 5) PDFs can be compiled into many other products. PDF is now, simply, the “accepted universal norm” for sharing formatted content. That’s what it was designed to be, and it’s living up to that expectation very well, despite the “bloat” that Adobe Acrobat now offers. Correct me if I’m wrong, but were your beefs about…? 2) content being locked without purpose. PDF is commonly selected because it is THE universal cross-platform delivery product, and can be created from any application. Nothing else can make that claim. PDF also allows high-end artwork to be tweaked by someone else (via Adobe CS, CorelDraw, Freehand, and a number of others, depending on the work), and return the revised product to the creator’s Creative Suite, Quark layout, or without the necessity of transmitting and relinking all the support files that often go with it. PDF is selected mostly by those who don’t care so much that the content can’t be easily grabbed for a blogger’s cut ‘n’ paste. They’re not concerned about others’ learning curves. All they worry about is that the content remains as created, and will print reliably from the most possible processes. The importance of this is certainly seen in the majority of those “government documents” you’re talking about, as well as anything with a legal or corporate flavour. You certainly can’t publish something as only HTML, when the “official product” is needed. Forms, in particular, need to stay as FORMS, and because of PDF, many of them can be completed in Acrobat Reader now, as interactive fields can be included. Since the format has achieved this kind of popularity, you’re kinda “stuck” installing the software that is needed to handle it, if you genuinely want that content. No, there’s no point in having software you won’t use. There’s also no point avoiding software you WILL/SHOULD use, either. However, HTML can only share raw content, and not format. Even your webpage will display differently to some than it does to others. It’s nice to be able to share EVERYTHING. Formatted products allow this where HTML can’t. But, some of us don’t just need “the words”, or “that picture”. We need the PRODUCT, as it was created, and the means to propagate it in its purposed form. For instance, you may wish to sample words from a legal proceeding, however, I may need to have the entire document, and the parties involved need that document to reflect the true archive, particularly if the proceeding is high-profile and still in progress. Another case in point is the need to share the actual vector art. Converting it to a bitmap (JPG, PNG, GIF, etc.) would totally defeat this purpose. HTML may be able to deliver SVG, but there’s more people who can’t recycle it than in the case of PDF (which can actually be used to deliver the vector format back to a wider array of programs, I might add). I just find that you can share more things in a more useable format outside of HTML. I also find that some direct cut ‘n’ pastes from HTML also contain code that needs to be stripped out, before it can be recycled on another webpage. I would think that would level the playing field for creating headaches. It’s not necessary to purchase the full Acrobat program. 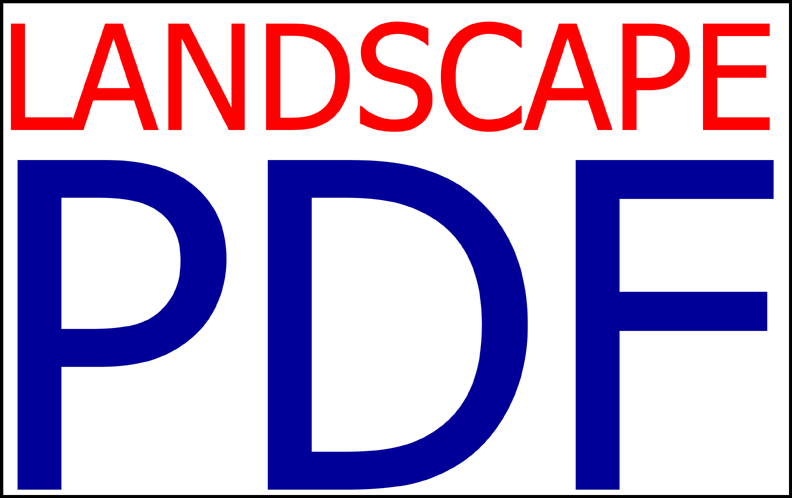 The Reader is free, and other free PDF-handling software is widely available. Some of it runs over the web as well, which some people seem to like. Anyway, I’ve badgered you enough on this topic, haven’t I?! This was not the intention, and I’m sorry if that’s how it came across, Laurel. Ordinarily I wouldn’t mind a bicker-fest D.A., but I’m under the gun to get my novel finished and UBB has been approved at the same time as the digital consultation and of course the Bill C-32 the Canadian DMCA. (Blogging about all of these things as well as documenting our robin’s nest has left me in the position of not having time for things like sleep or recreational arguing. After everything else settles down I’ll work my way though your arguments if you like. The internet is NOT print. THIS blog is in a flexible theme, which means that it displays differently depending on the user’s screen size, but all the screen “real estate is used.” I always check to see that it is displaying alright at 800 pixels across, because that’s part of making it accessible. HTML is a reliable format that can “cross over” between Mac and PC platforms… browsers are free… HTML can display and print as designed when combined with CSS, which is how web formatting is done…. HTML/CSS is the way we share formatted content online. More and more governments are locking information we citizens are entitled to inside PDFs. If I just want to look at my kid’s schedule on the school website (paid for by my tax dollars and yours) should I really have to kill a tree to print out a PDF that is the only form it is available in on the school website? Government information should never be locked in PDFs. It belongs to us. It should be easy to cut and paste any info we need from government info. We should NOT have to put a reader we don’t want on our computer to read it, nor should we have to print it out.